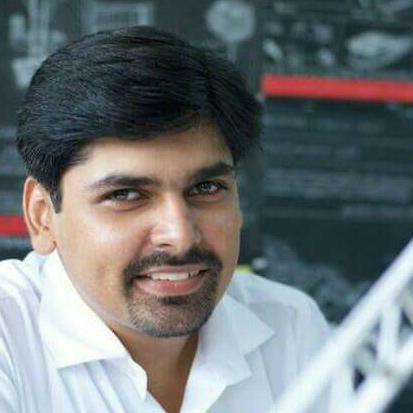 He has been working as an architect in India and teaching students of graduate and post graduate courses in architecture from the past 18 years. His primary focus of teaching is towards environmental architecture and sustainability. 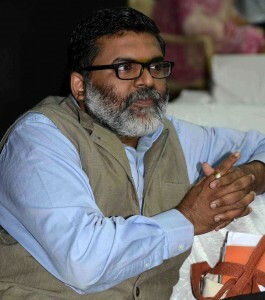 He has been Head of Department of Post Graduate course at Rizvi college of Architecture for 7 years and teaching graduate students at various college of architecture for 18 years along with practicing Green building certification in India from past 10 years. He has certified many buildings under USGBC, IGBC, GRIHA along with having the following credentials, IGBC AP, GRIHA Trainer, EDGE Auditor and Expert, ECBC Master Trainer. He is a fellow at Indian Institute of Architects and a member of World Society of Ekistics, Greece. He is currently pursuing PhD from IIT Bombay. Shruti Verma received her Bachelor of Architecture degree from Rizvi College of Architecture and Master of Architecture (Environmental Architecture) from IES College of Architecture, Mumbai. She has a teaching experience of 8 years during which she has taught courses on Environmental Studies, Climatology, Architectural Design and Design Dissertation to B.Arch. students. She has also participated as faculty in design studios for M.Arch. courses. She has a keen interest in water sensitive design, urban ecology and climate responsive architecture and has worked on professional assignments and paper presentations in a number of conferences on these themes. At present, she is pursuing her doctoral studies from TERI School of Advanced Studies, New Delhi, in the Department of Regional Water Studies. She also has a professional experience of nearly a decade during which she has worked on projects ranging from interiors to urban design guidelines. Ajit received his Bachelor of Architecture degree from Rizvi College of Architecture and Masters in Environmental Architecture from YCMOU. Since past 8 years he has been involved in research, academics and professional work. Ajit has taught earlier at Rizvi college of Architecture, BVCOA-Navi Mumbai, LTIADS-Kopar hairane. He has keen interest in studying building physics and computational design approaches in Architecture. He has been awarded various scholarships and awards for academic excellence and commitment. 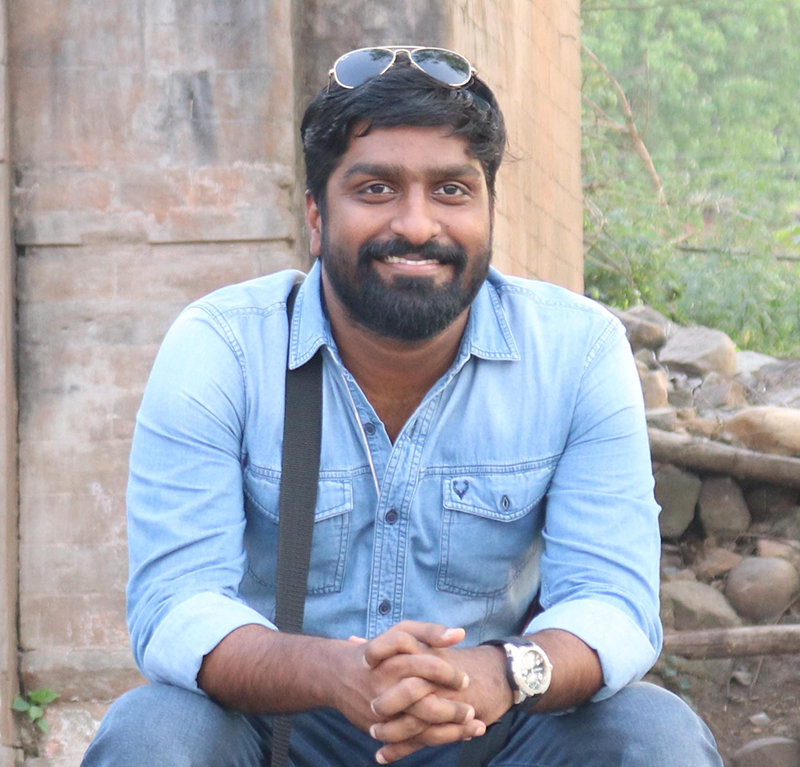 Rejish Ramachandran a graduate with Masters in Architecture (Urban Design) from K.R.V.I.A., Mumbai. His experience with design and design development has led him to develop a keen interest in research and academics. He had Worked in Qatar for a duration for 6 months and had taught at Bharati Vidyapeeth College of Architecture for a year. His work “Shared Space, shared future – Exiled spaces in the city” was widely appreciated for its innovative approach to comprehend the dynamic fabric of the city and for its graphical representations and analysis as a narrative. Nilesh Gandhi has been involved with the architecture profession for more than two decades now. He provides Landscape and Green Building Consultancy services. 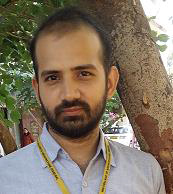 He completed his Masters from CEPT, Ahmedabad in Construction and Project management, and further enrolled to pursue his Phd from IIT Bombay in Climate Studies. Dr.Nilesh Gandhi, a Phd. Honours, is a member of at Council of Architecture, IIA, IIID, PVAI, IGBC, USGBC, and several other industry associations. Having Landscape designed more than 500 Acres of land, he has over a dozen projects Green Certified till date. He taught as a visiting faculty at Rizvi, and currently at Swami Vivekananda College of architecture. Nilesh is frequently invited for jury sessions at BV Kharghar, IDEA Nasik, amongst other reputed educational institutes. A speaker, moderator at various industry conferences and seminars, Nilesh actively advocates Landscape, Green Buildings, & Environmental Sustainability which are close to his heart and practice. Om Merchant is the Founder and Principal at AA. He has over a 20-year experience in Design and Execution of projects. He has a Master’s degree in Architecture. He specializes in Low-Cost, Sustainable, Critically Relevant and Innovative Design solutions. He has been actively involved in Academics since the past 15 years. His pioneering efforts in updating pedagogy in Design has resulted in a paradigm shift within the fraternity. He continues to teach and advise the community on issues relating to design and construction. Ar Kiran K Keluskar graduated from MES PiCA, Mumbai university in May 2001 with a 1st class with honours. He also graduated as the best student of the year and received a special mention in first Charles Correa gold medal. The professional journey started right in college years when he restored and redeveloped a defunct AnantRaje building in the APMC, Navi Mumbai in the year 1998-99. After graduating he worked with some of the best offices in Mumbai namely S+PS architects and then SRDA as an associate. Simultaneously he started work on individual projects through The Cast Insitu architects and also taught full time at MES PICA between 2002-2007. In 2007 with the view of addressing rural architecture he moved the office to Sindhudurg while continuing visiting and guest lectures in Mumbai. He firmly believes that it not that good people make good architecture but good architecture can lead to making of good people. He has remains passionate with his works and teaching. She has completed her undergraduate training in architecture from Academy of Architecture, Prabhadevi, Mumbai, and Masters in Sustainable Architecture from CEPT University, Ahmedabad. 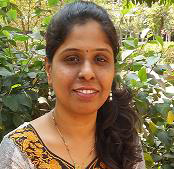 She is currently working as a Research assistant with Prof. Anand Achari on thermal comfort and natural ventilation. Along with VESCOA she is also a visiting faculty at RachanaSansad Academy of Architecture for the subject of Environmental studies for the five-year course. 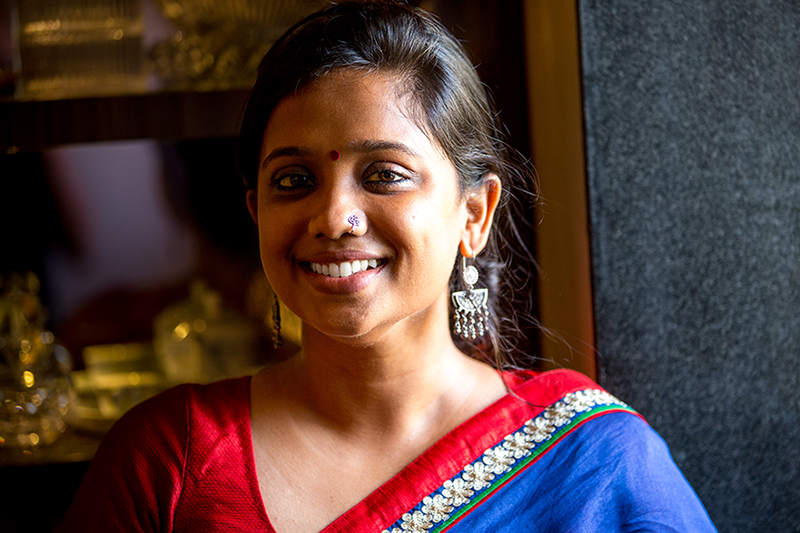 She is a fellow at the Young leaders for Active Citizenship (YLAC) and has previously worked on Earth architecture in Auroville Earth institute. Ar. YashikaTijoriwala is a graduate from KamlaRaheja Institute for Architecture, Mumbai. She has her own practice under the name of Dark Blue Studios, which deals in interior design, furniture design and woodworking. Woodworking being her passion, she has her own space where she designs, experiments and executes works commissioned by architects on one side, and keeps exploring the vast realm of woodworking on the other. The main focus of exploration being usage of traditional joinery in the pieces which make the work look elegant, exquisite and seamless. Working with VESIT since 1991 as a faculty in Humanities and Applied Sciences Department. Presently heading the department. Completed graduation in Civil engineering from Marathwada University, Aurangabad and post-graduation in STRUCTURS from Sardar Patel College of Engineering, Mumbai. After three years’ experience in construction industry, landed in teaching and till date continuing the same. Helping students to develop interest in analytical skills and visualization with the help of subjects like Mechanics, Theory of structures, Engineering Drawing etc. Areas of interest – Teaching, Indian Classical music and Philosophy.Awarded with “DRONACHARYA AWARD” for excellence in teaching in 2005. She holds Master degree in Arts and MBA. Having 13 years of experience in working in administration of Architectural Institute, she is currently In-charge of overall administrative operations, admissions, examinations, student’s attendance as well as academic records & faculty’s record. She corresponds with Council of Architecture, DTE, University, Government bodies and other statutory bodies. She holds Master Degree in Arts Master Degree in Library Science. Her area of responsibilities includes maintenance of Library budget, cataloguing of Books & Journals, Cataloguing & maintaining non-book materials also, maintain subscription records & bills, Circulation of Books, Arrangement of Library Activities, Books & Journals purchasing etc. She has 12 years’ experience in Library field. 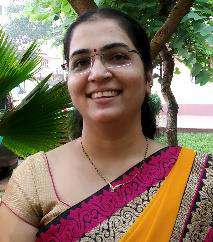 She has worked previously in Engineering Institute, Pharmacy Institute, and MBA Institute. She has various hobbies such as drawing, reading a book, Rangoli making, cooking etc. He holds Master Degree in Commerce (M.Com) and currently perusing LLB. He handles accounting of college like PF & PT, GST, Salary, Bank Reconciliation etc. He has 2 years’ work experience in accounts. He holds B. Com degree and Master in Computer Application. His areas of responsibilities include maintenance of Computer Lab & audio visual equipment’s and regular maintenance of hardware and networking of computer labs, office and its related peripherals and procurement of required compliances related to software’s and hardware. He holds Diploma in Civil Engineering degree. He currently handles various labs and workshops like surveying lab, environmental lab, services lab, material museum and model making workshop and carpentry workshop. Maintaining all Labs and Workshops and procurement of instruments required for the same are few of the responsibilities.